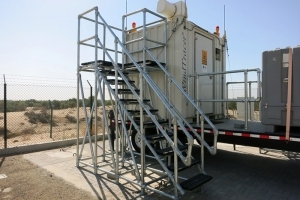 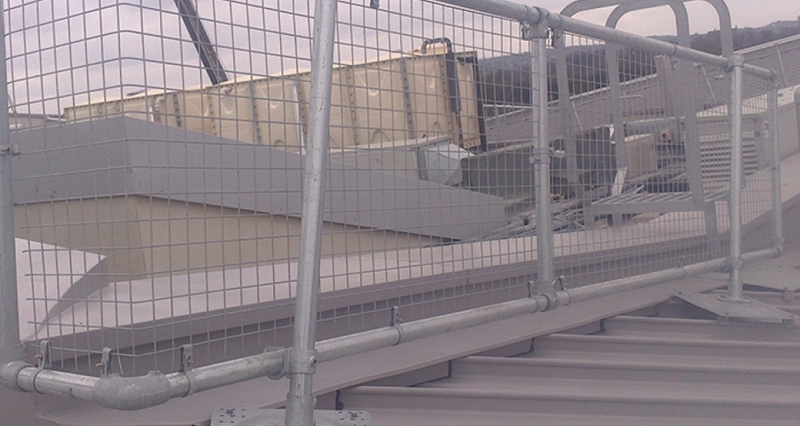 The KEEGAURD Topfix roof guardrail system has been installed on a standing seam roof. 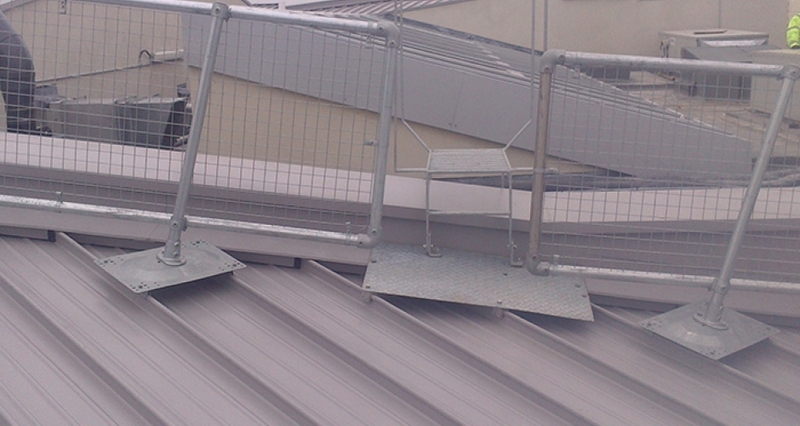 The site required a Collective Fall Protection System to be fitted to the standing seam roof and KEEGUARD Topfix was a perfect solution. 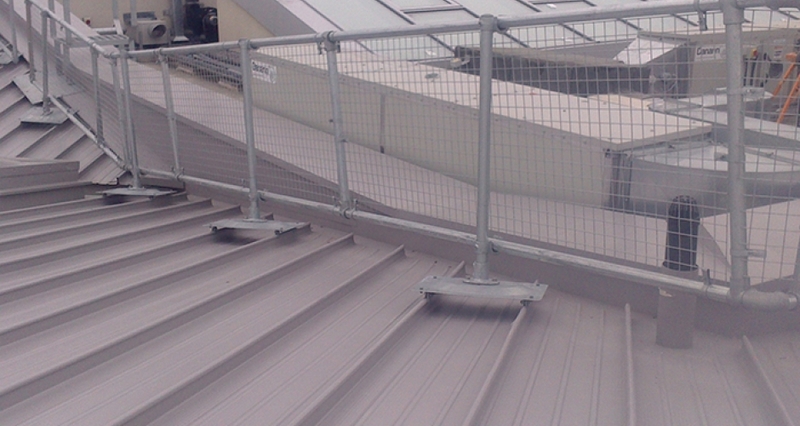 KEEGUARD Topfix metal roof guardrails were installed together with with 50mm x 50mm Weld Mesh Panel infill.